Kieron Gillen was one of the most profound and prolific video game journalists working in the industry. Some would even say he invented games journalism. Now the future of Marvel's Uncanny X-men is in his hands. Kieron Gillen has worked with just about everyone in the video game business. He's written for PC Gamer UK, The Escapist, Wired, Games Developer, Edge, Eurogamer, and many others. He is one of the founders of Rock, Paper, Shotgun. In 2004 he coined the term New Games Journalism, describing a way to use personal experiences, media references, and other creative means of exploring game design and culture. But that's all behind him now. In September of last year Kieron bid games journalism adieu in order to focus on his other writing passion, comic books. 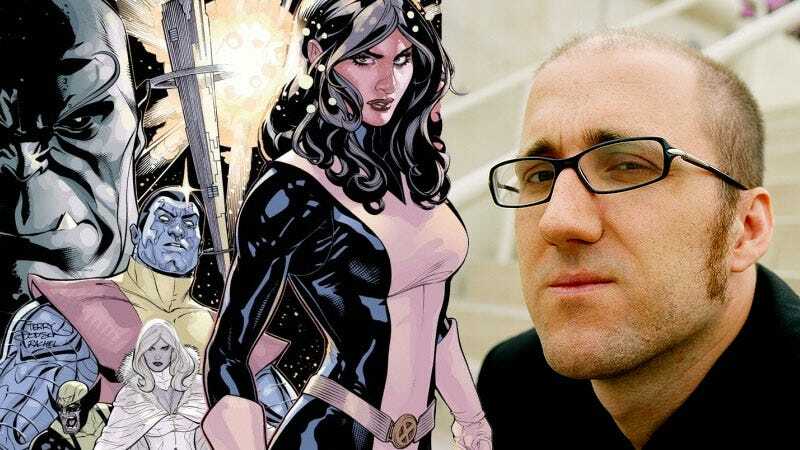 He joined acclaimed writer Matt Fraction on the Uncanny X-Men, launched his own spin-off in Generation Hope. Yesterday it was revealed that Gillen would be writing the newly-relaunched Journey into Mystery starring Thor's mischievous brother, Loki. And today he's taking over The Uncanny X-Men. With Matt Fraction leaving the book to focus on the books Fear Itself, Iron Man, and Thor, Kieron will steer the X-Men into a new age, picking up plot threads involving Kitty Pryde, Prince Namor, and the once more reformed Magneto and giving them his own personal twist. I can't wait to see where he takes the team.